A little while ago Jon Stewart, host of The Daily Show, was criticizing CNBC and Jim Cramer. Check out this video of Jon Stewart inverviewing Jim Cramer: Part 1, Part 2 and Part 3. In my opinion Jon Stewart was a bit overly critical of Cramer's stock picking. Sure Cramer made an error when suggesting people should buy Bear Stearns. But Jim Cramer picks stocks on a daily basis and makes 100's of stock suggestions every year. With that many picks its guaranteed that he'll make a lot of bad choices. Any professional money manager will make some bad choices. We can't expect Jim Cramer to be 100% perfect in his stock picks. The real test is of their overall performance. But this then raises the question : How good is Cramer at picking stocks? This site YourMoneyWatch tracks Jim Cramer's picks and then determines the performance track record of all his stocks for each year and since the start. Since they started tracking his picks in 2005, Cramer has had a +7% return. Now if you compare that to the indexces he's doing significantly better. Cramer's picks have beat the Dow, S&P 500, NASDAQ and Russell 3000 every year since 2006. Thats not bad at all. I'd say Cramer is doing pretty well. But how hard is it really to beat the indexes? Could you or I do as well as Cramer? 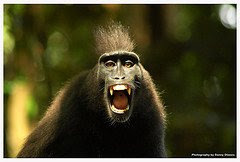 What if you asked a monkey to pick stocks, could they beat Jim Cramer? The Chicago Sun-Times has a monkey that they use to pick stocks. The monkey is named Mr. Adam Monk. The monkey picks 5 stocks each year and then the Sun Times pits the monkey's results versus the markets as a whole. He's been pretty successful: "In the four years since Mr. Monk has chaired and inspired this contest, his stocks have posted annual returns of 37 percent, 36 percent, 3 percent and, in 2006, 36 percent, beating the major indexes every time." Ok so lets do a year by year comparison of the monkey's stock picks versus Jim Cramer's. The YourMoneyWatch website started tracking Cramer's picks in mid 2005 so they have full year data for 2006, 2007 and 2008. Jim Cramers 2006 picks result +7.67% gain. So there you have it. The monkey Mr. Adam Monk won in 2006 and 2008 but Cramer won in 2007. Results : Monkey wins 2 out of 3 years. Should we draw any conclusions from this? Well not especially. The monkey may just be lucky. I wonder if he could get a show in CNBC. The zany stage theatrics of Cramer's show would be better suited for a monkey. Monkey pictured is not the actual stock picking monkey.